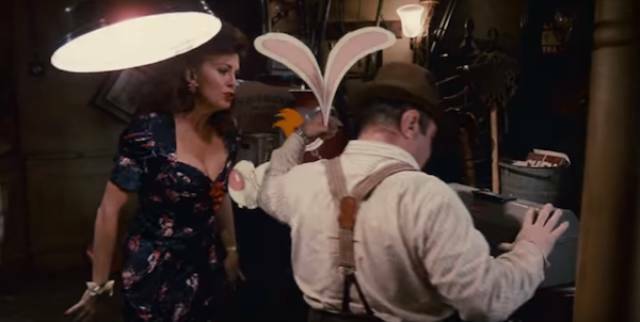 Despite the title of the film being a question, no question mark is included as it is considered bad luck in the film industry to use that particular piece of punctuation. 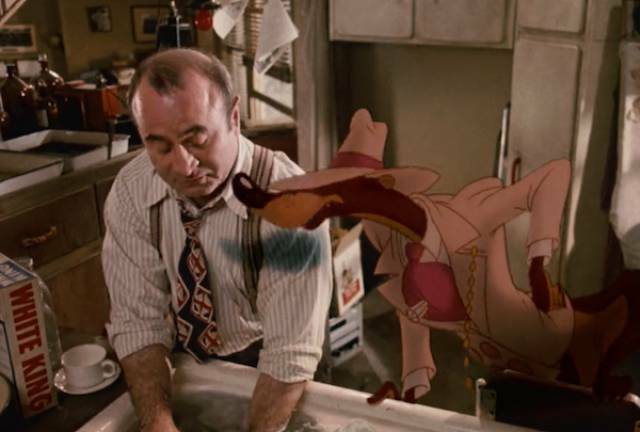 In the scene in the back office when Eddie Valiant (Bob Hoskins) and Roger Rabbit attempt to cut their handcuffs, the ceiling lamp is knocked and swings violently. 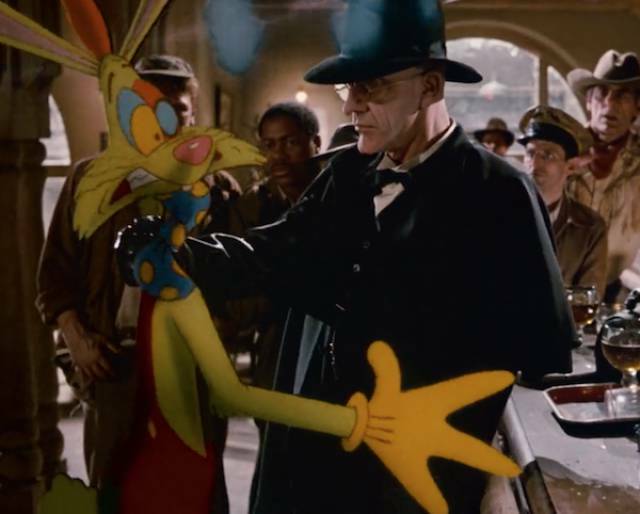 Such was the level of work needed to match the changing angles of the shadows with both the actors and the animation of Roger Rabbit, that the phrase ‘Bump the Lamp’ is used to this day by Disney employees to describe that extra bit of effort needed to enhance a project, regardless of whether the audience will notice it or not. 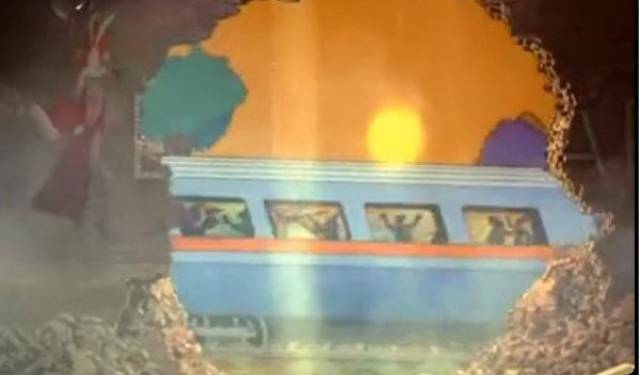 When the toon train crashed into the Dip Machine, each window on the train can be seen to depict a murder or death taking place (this intricate detail can only be viewed by slowing the film down frame-by-frame). 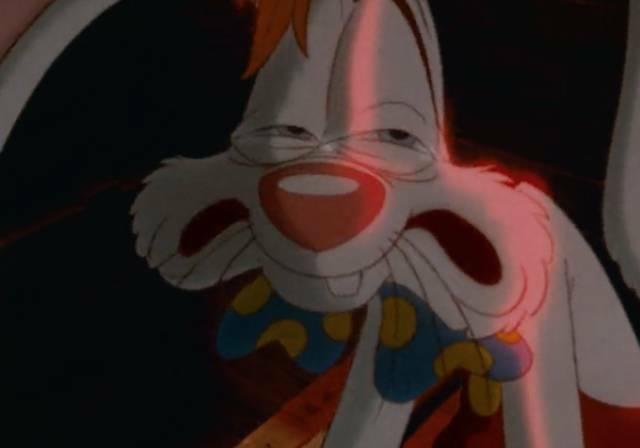 The lethal mixture that kills the toons is made up of turpentine, acetone, and benzene. These are all paint thinners, used to remove unwanted animations from films cells. 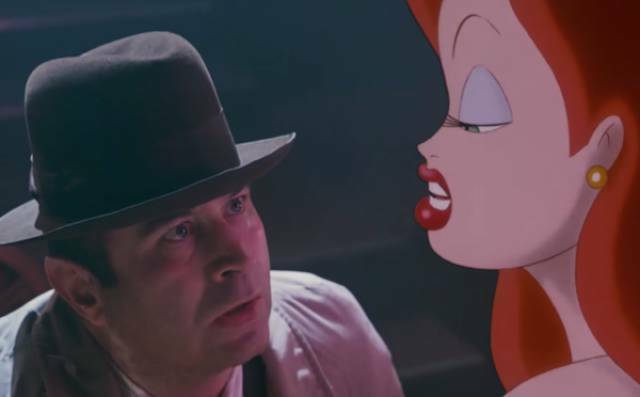 The only way that Warner Brothers would allow Disney to use their biggest characters in it is film was if they received the exact same amount of screen time as their Disney counterparts. 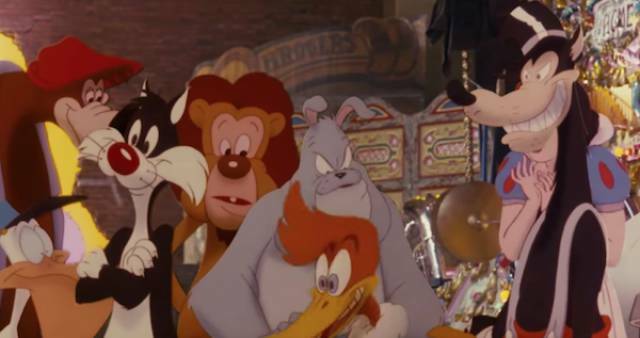 That is why Bugs Bunny and Mickey Mouse always appear together in the film, as well as Daffy Duck and Donald Duck. 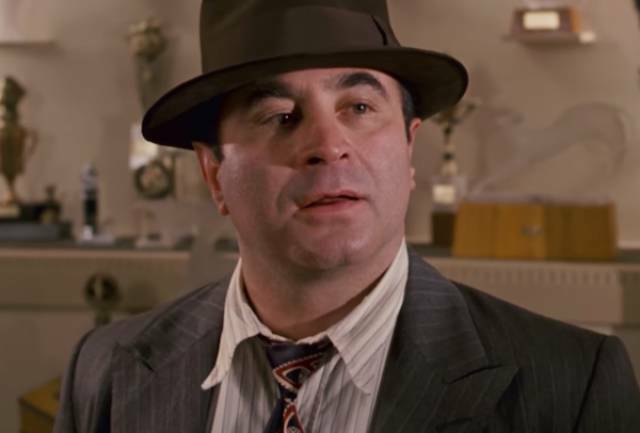 After filming, Bob Hoskins claimed his son refused to talk to him. 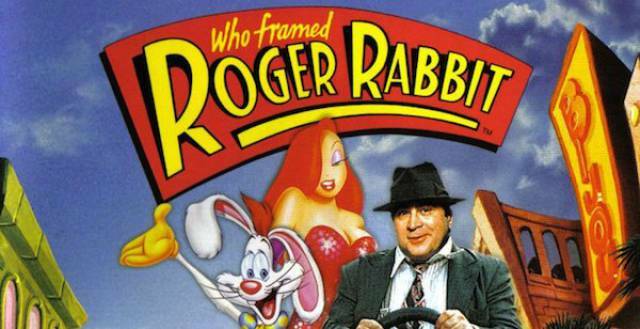 He was furious that his father had worked with Bugs Bunny yet wouldn’t let him meet him. At the time, it was the most expensive film ever made, costing $70 million (close to $200 million in today’s money). It would take until 1991’s $100 million Terminator 2: Judgment Day before its budget would be surpassed. 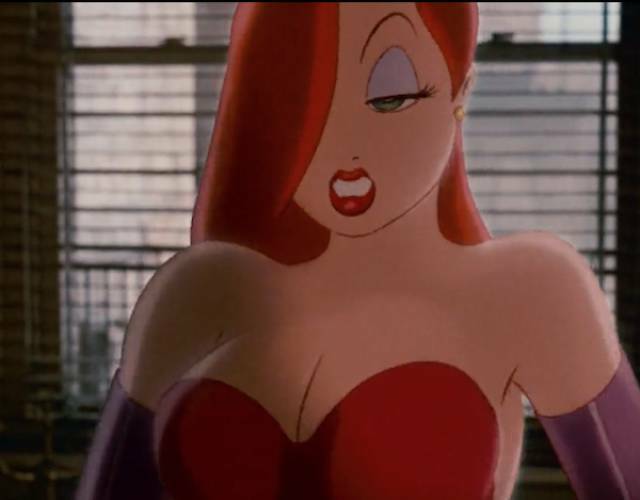 Jessica Rabbit was voiced by actress Kathleen Turner, while her singing voice was that of Amy Irving. Neither are credited. 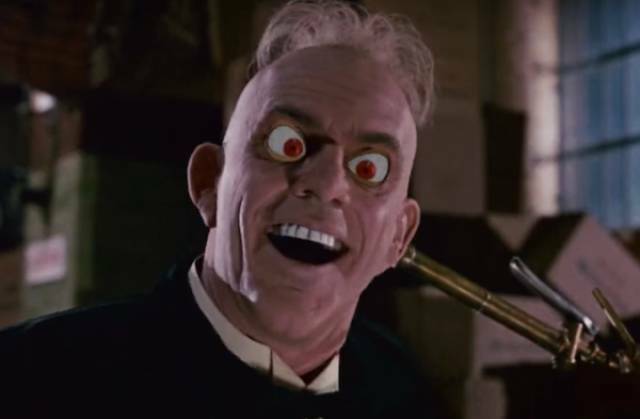 Tim Curry, of Pennywise the clown fame, auditioned for the role of Judge Doom but, according to director Robert Zemeckis, was just too terrifying to get the part. 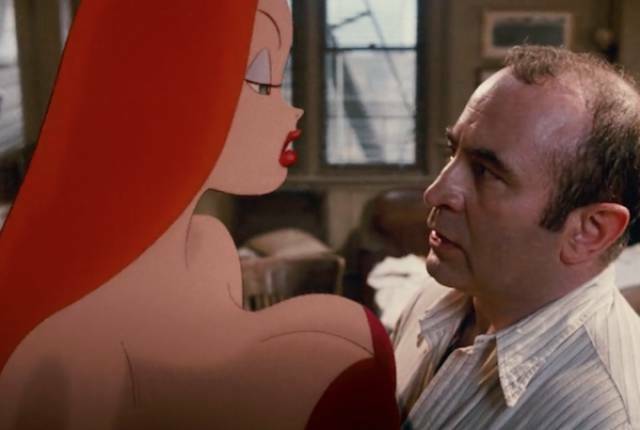 To give the now infamous ‘bounce’ to Jessica Rabbit’s rather prestigious bosom, the animators reversed the natural ‘up-down’ motion of a woman’s breasts. Jessica’s breasts bounce up, while an actual woman’s bounce down. 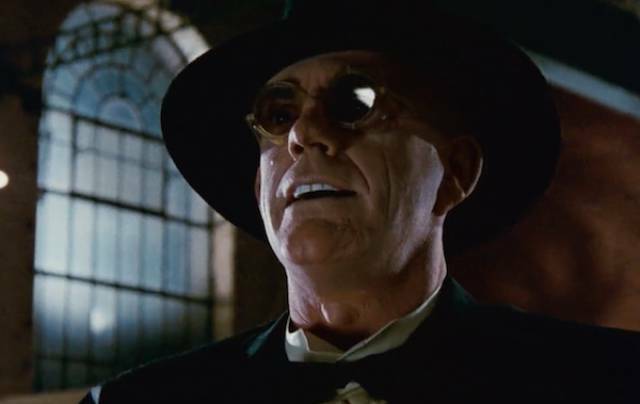 In his part as Judge Doom, Christopher Lloyd never once blinks. Jessica’s line “I’m not bad. 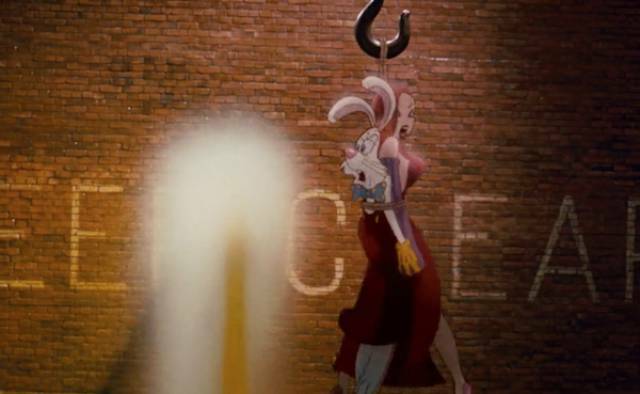 I’m just drawn that way” was voted the #83 of “The 100 Greatest Movie Lines” by Premiere in 2007. 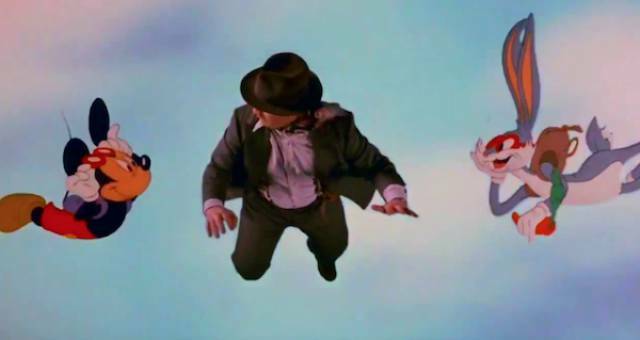 In the original VHS release of the film, when Jessica and Eddie are thrown from the car you can clearly see that Jessica isn’t wearing any underwear. Underwear was added in all future releases of the film. During the earlier drafts of the script, there were to be seven weasels in a parody of the seven dwarves. They were to be called Psycho, Smartass Sleazy, Wheezy, Stupid, Slimy, and Greasy. Another interesting detail that was removed from the final versions of the script that Judge Doom was responsible for the death of Bambi’s mother! 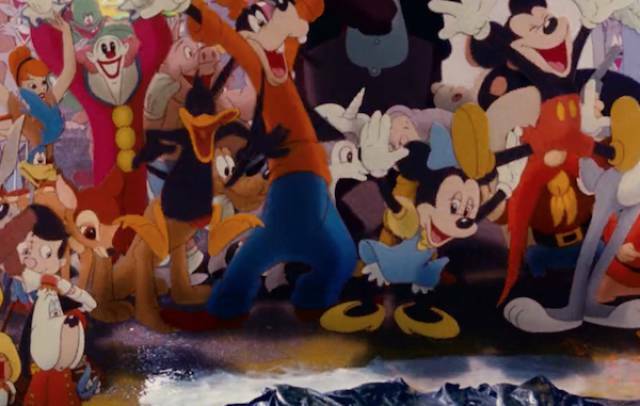 Eighty-five thousand hand-inked and painted cells were used to create the film. There was a planned prequel called “Toon Platoon” but it never made it out of the development stages.